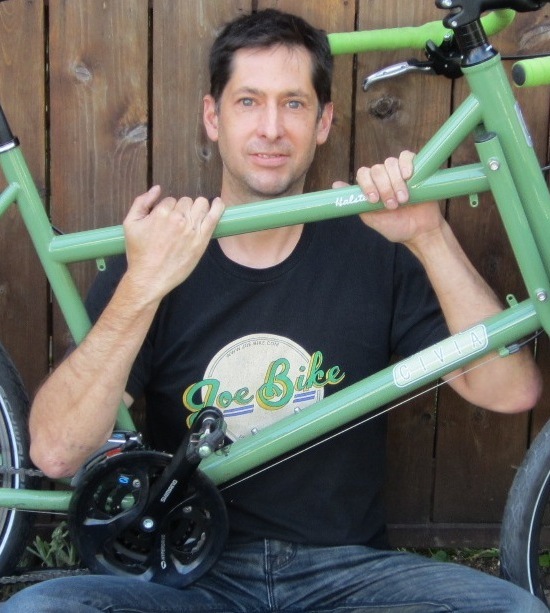 Joe Doebele is the owner of Joe Bike, a city bicycle shop in SE Portland’s Hawthorne disctrict. We talk about his experiences with cargo bikes, bike apparel and his new clothing store, the challenges of business, and a little bit on cyclocross racing. Dion is doing a charity fundraiser ride for the make a wish charity that grants wishes to children with life threatening illnesses. Rance picked up a 50 gallon recycled food container made into a rain barrel. Onlookers were amazed that he could haul it with a trailer by bike! Rory from Kalamazoo asks about touring setups, and we opine at length.